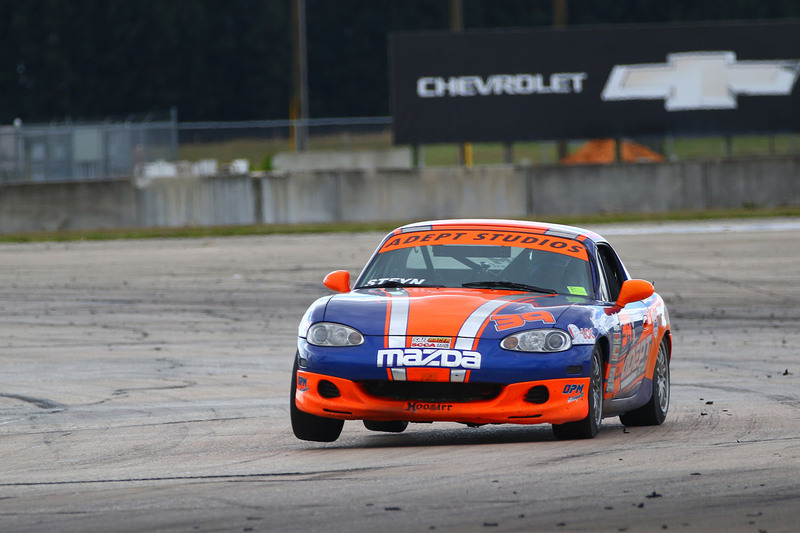 Once again Steyn double dipped in both the STL and Spec Miata classes. 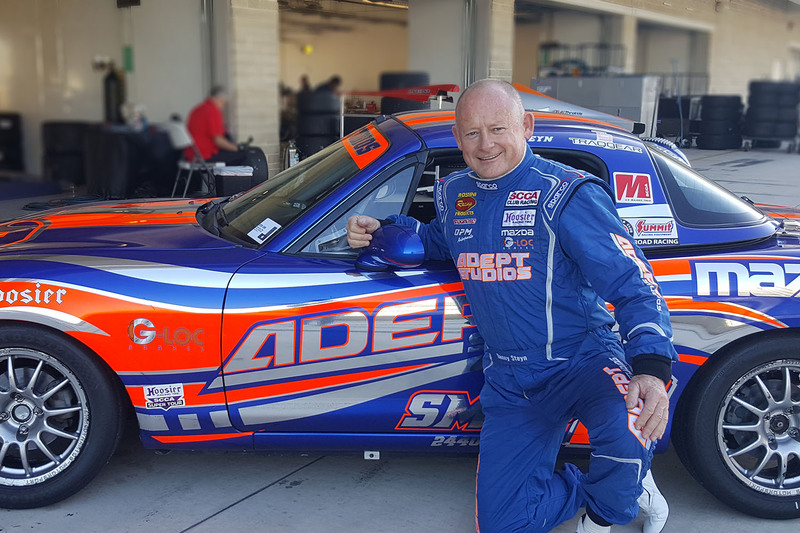 Steyn qualified his Mazda MX-5 on the pole for the Hoosier Super Tour STL class, with Nick Leverone a mere 0.5 seconds behind. 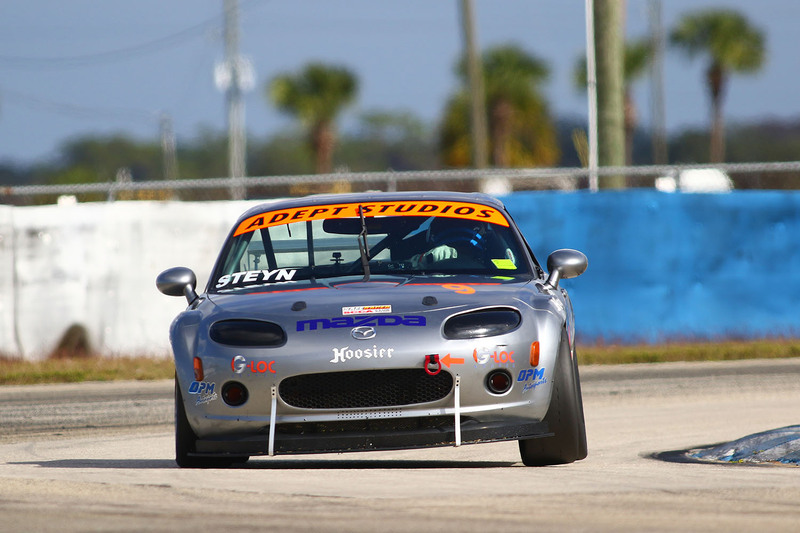 In Saturdays STL Race 1, Steyn and Leverone went back and forth until Steyn missed a shift on the exit of T17, and fell back a few seconds behind LEverone. 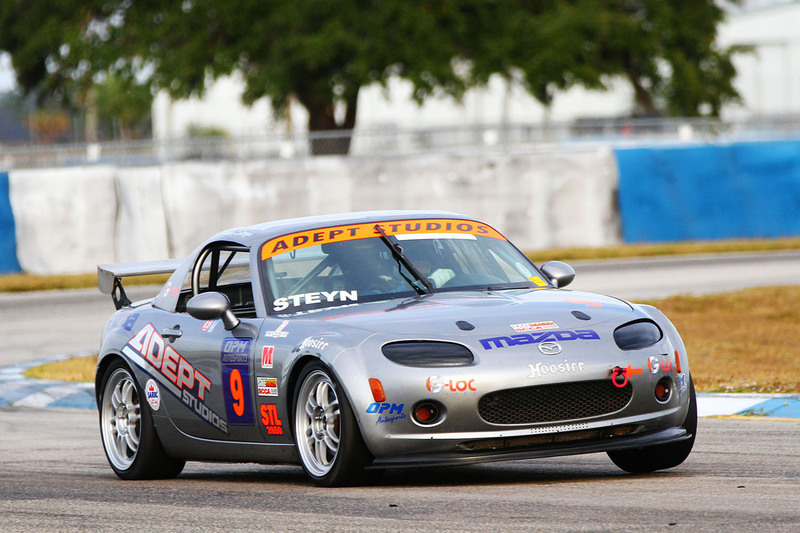 Steyn used the opportunity to chase Leverone and use his draft to set a new Sebring STL Lap Record of 2:27.715. On the last lap Steyn was able to outbreak Leverone going into the hotel hairpin Turn 7 and managed to hang on for the win by 15/1000ths of a second, getting his 2nd STL victory of the year. In Sunday’s STL Race 2, Steyn and Leverone swapped the lead several times until Steyn missed a shift on the start of Lap 4, and while trying too hard to catch Leverone, and getting within a 10th of his lap record time, manged to spun in Turn 17. 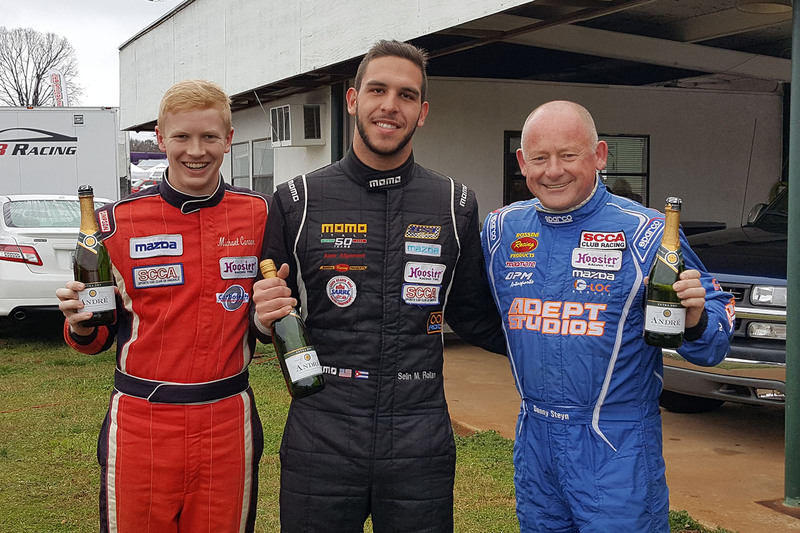 Steyn was able to restart but unable to catch Leverone, who won the race with Steyn in 2nd place. 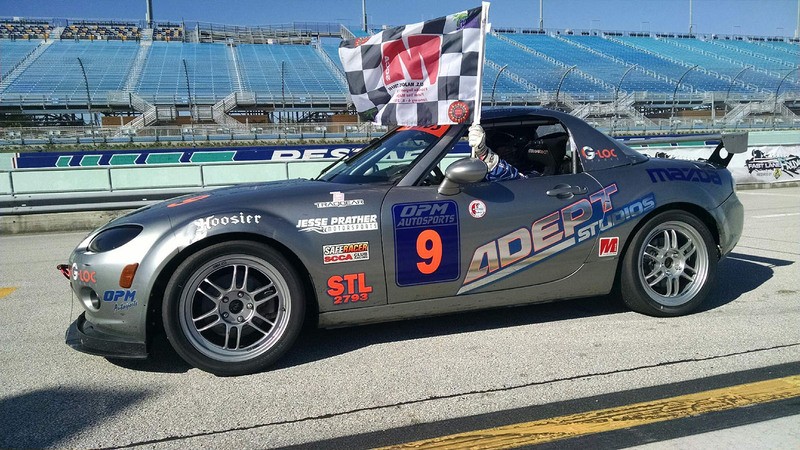 In the Spec Miata Class, Steyn qualified in 5th place behind Alex Bolanos, Jim Drago, Todd Lamb and Craig Berry, with the top 5 cars all within four tenths of the pole time. 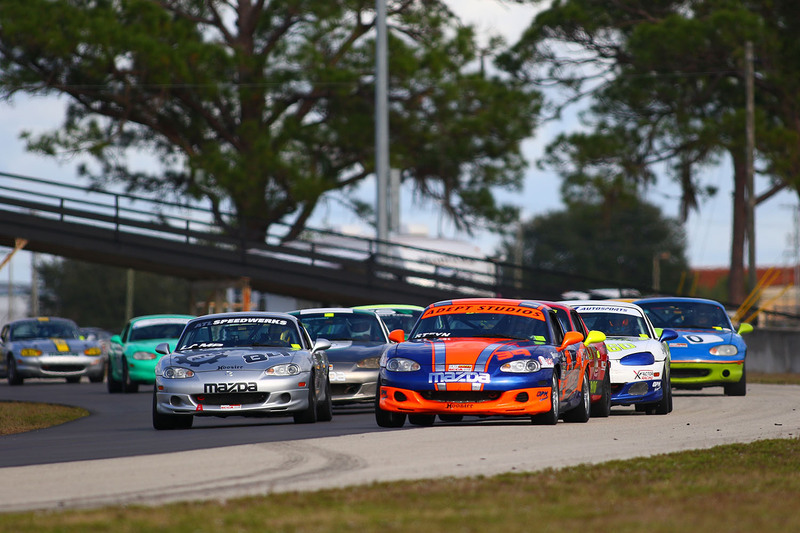 In Saturdays Spec Miata Race 1, Bolanos got out to an early lead followed by Rollan, Steyn and Drago. Drago got past Steyn and Rollan and set chase for Bolanos, and Todd Lamb joined in the fray, moving Steyn back to 5th place. Then Pardus, Carter and Berry got by Steyn, but Steyn was able to prevail over Pardus and Berry and finally finished in 6th place. 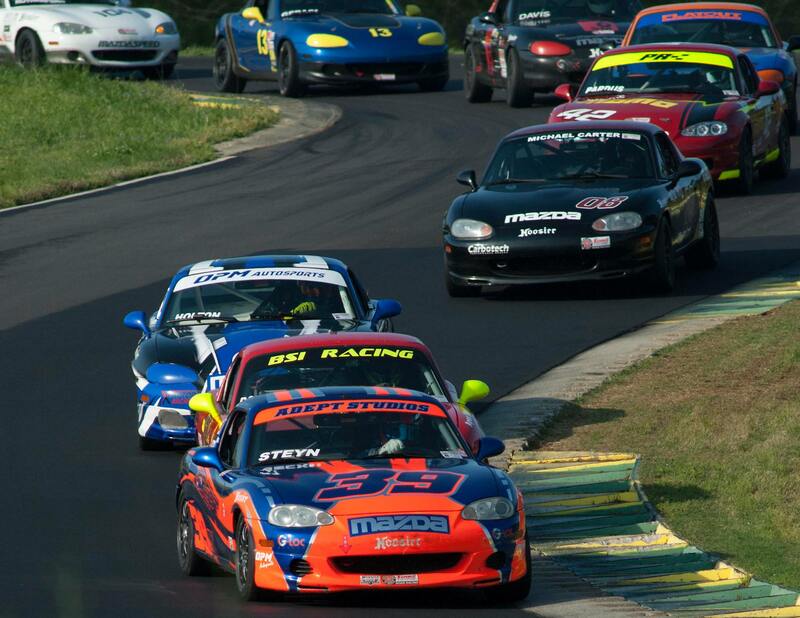 In Sunday’s Spec Miata Race 2, Steyn started in 5th place on the 3rd row behind Bolanos, Lamb, Rollan and Drago. At the start, Michael Carter got past Steyn and he fell back to 6th place. The top 6 ran bumper to bumper for the first 8 laps until Lamb started to struggle, and Steyn went by Lamb, but by then Steyn had lost contact with the top 4. As the front four started to fight, Steyn as able to catch and there was a lot of side-by-side racing. 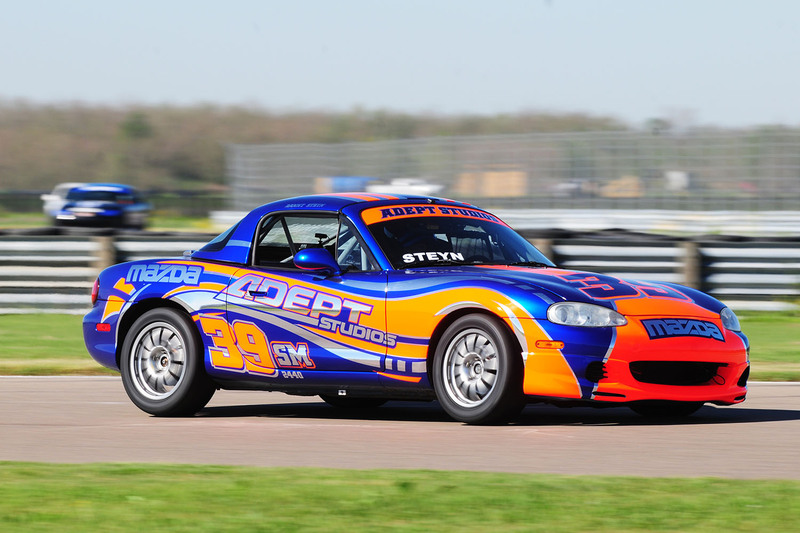 Danny Steyn in-car video setting a new Sebring Lap Record in STL in his Mazda MX-5!